For over 50 years OEM Controls has created customized controls for total controller solutions in the field. Our products have passed the test of withstanding the most extreme environmental conditions to provide guaranteed reliability and performance. We work directly with industry experts to design controllers that meet our customers’ specifications and resolve their issues. OEM Controls is the top choice among industry leaders for on and off-highway vehicles. OEM has the experience and capabilities to provide you with the highest quality controllers and products that you can rely on every day. We understand that no industry is alike and each has certain expectations and requirements that they expect out of their controllers. When you choose an OEM product, you choose to be among the leaders in your industry. Top industry professionals are looking for high quality controllers with a high degree of customization, and by working directly with the OEM team they can rest assured that their demands are met. 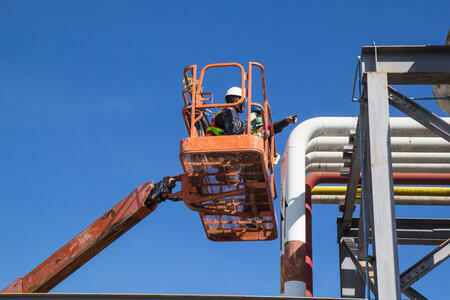 Lifts are used for a wide variety of applications in the Aerial Work Platform field. OEM Controls designs products that simplify the operation of lifts and aerial work platforms, while also increasing their reliability. 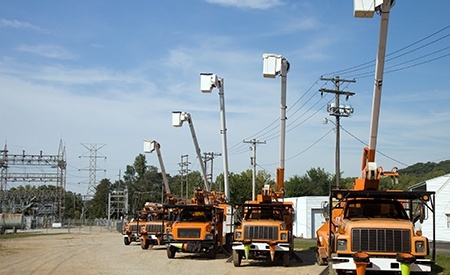 OEM products can be found in equipment in the AWP field such as Vertical Mast Lifts, Indoor Scissor Lifts, Outdoor Rough-Terrain Scissor Lifts, Articulating Booms and Telescopic Booms. Custom built products found in these machines include: joysticks, sensors and motor controllers. These products have been designed to provide the optimal combination of performance with a simple and reliable interconnection. OEM products are custom-built to meet your specific requirements, allowing you to rest assured the controller you receive will work effectively and efficiently. 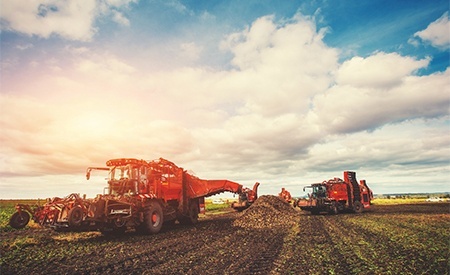 OEM Controls has worked with agriculture businesses for years in order to provide critical operational features in their machine equipment. Our joysticks, handles and controllers are designed to be ergonomic for operators to ensure optimal efficiency and productivity. OEM’s products are also created to last, withstanding the wear and tear of every day environmental conditions that are unavoidable, such as extreme temperatures, water, dirt, and vibrations. 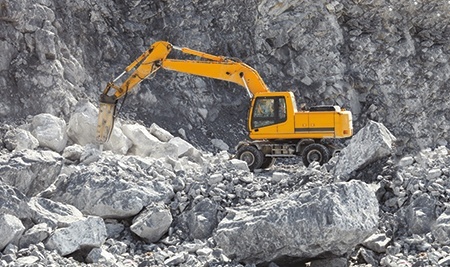 In order to operate these machines in all environments it is vital to choose materials and components that are tolerant towards a variety of conditions. OEM Controls' focus is always the end user, those who handle the equipment on a daily basis and who are affected by the workings of it. 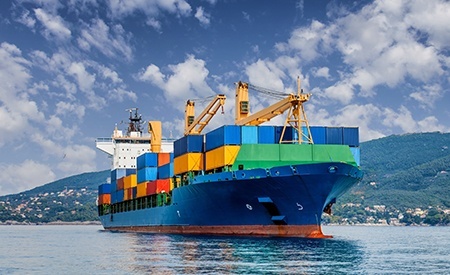 OEM Controls is a leader in the manufacturing of a full range of controls, handles, joysticks and sensors that are essential in the marine markets and across a range of types of marine equipment. In this industry, reliability and attractive precision are important factors for what is needed to perform normal operations. Any of our products can be custom built and configured to an assortment of marine equipment. When it comes to lawns and turf care all of us over at OEM know the importance of having a nice lawn or fairway. The way your turf looks can really represent a person or business. OEM Controls manufactures custom control solutions specifically designed to meet your requirements and needs. In order to service all operator stations OEM also offers pedal designs as an additional function that we can help you with. Trust OEM Controls to enable your machinery to provide the best results and become a leader in your industry and to ensure there is no "down time" while working. OEM Controls knows that in order to keep up with the quickly growing and expanding milling industry, those leaders expect us to provide total controller solutions that meet their specific needs. 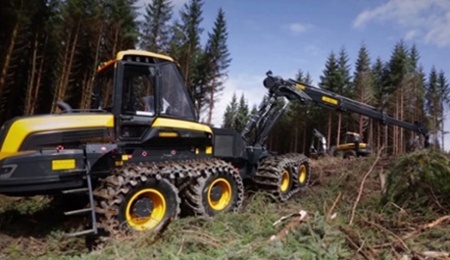 OEM’s range of custom-configured controllers are designed with a rugged ability to withstand the forces of nature that operators in the logging industry face daily. We are confident that our solutions are unprecedented and will provide your equipment with a long life cycle and complete functions. Our handles offer operators an assortment of shapes and functionality capabilities to ensure optimal comfort and ease-of-use. 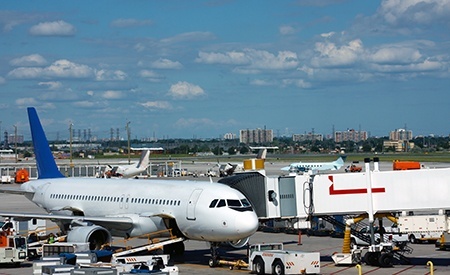 In the airport industry it is essential that your equipment is reliable and high functioning. 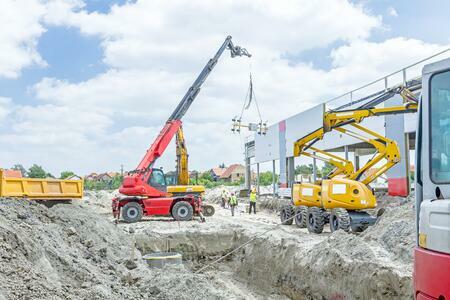 When dealing with large machines, you want to have a trustworthy product on your side. OEM Controls understands the importance of this and is dedicated to creating handles, joysticks, foot pedals, and controllers that are top notch and have a proven track record of operating efficiently. With over 50 years of service in creating these tools we are confident that our custom-designed controllers are manufactured to meet your needs and specifications. 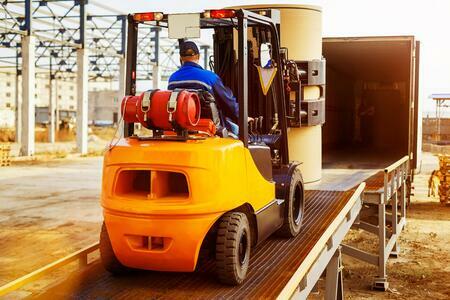 Material handling equipment like fork lifts and telehandlers are used across a wide array of fields and are expected to function properly to perform the necessary tasks. When they fail, production and projects can be seriously affected. OEM Controls is aware of the importance of fork lifts and is dedicated to providing high functioning controllers for these machines removing any concern about the quality of your equipment. Our products make the lifts feel simple and easy to use so no time is wasted and every minute of the day is being used productively. 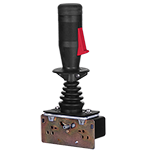 OEM’s joysticks, controllers, handles, and foot pedals are designed to be reliable on all machinery. OEM designs and manufactures components for a range of utility vehicles. Our products are meant to aid in the functioning of utility equipment such as lift trucks and cable tractors. Our line of foot pedals and controllers are crafted to allow for easy operation and maintenance. In the public utilities industry there is often equipment that is technical and needs exact precision combined with simplicity of use. Our controllers are built to allow for that functionality. 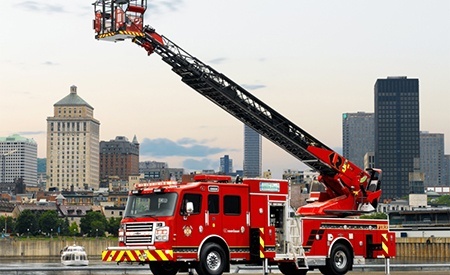 Emergency vehicles must maintain a high standard of functionality and use. OEM Controls' product line offers controllers that are easy to use and withstand excessive wear and tear. Our controllers are found in a wide array of emergency vehicles with wide ranging requirements. Each field within this industry has certain specifications for how their equipment is to function. OEM Controls knows that the controllers maneuvering this equipment are reliable and efficient. OEM Controls ensures that our products are trusted and built to last. OEM Controls offers custom configured controllers that meet the high level of demand seen in the mining industry. Our controllers are designed to provide long life cycles allowing for longevity of the product in your equipment. These products feature heavy duty components minimizing the every day wear and tear of the harsh work environment. OEM Controls designs single axis, multi-axis, and hall effect controllers and joysticks. Our line is complete with operator chair systems that can be custom-configured for a range of mining machinery. Our products are designed for efficiency and ease-of-use allowing for completion of the job in a timely manner. This field is demanding, which is why OEM creates products based on specified requirements and use durable materials, designs, and components needed to last on these machines. 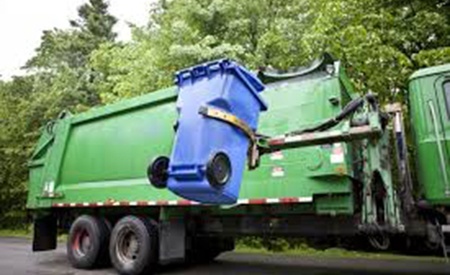 Waste removal vehicles are constantly hauling tons of weight and are working non-stop. These vehicles need equipment that is built-to-last and will endure the environmental conditions they encounter. OEM Controls constructs single-axis, multi-axis, and hall effect controllers that allow the tasks to be completed without any obstacles. We build products to suit the specific needs of each vehicle, ensuring that each is performing at its maximum capacity to complete the job without complications. We understand that not all operators are alike which is why we take pride in the fact that each control solution we offer can be custom designed. OEM Controls offers a range of custom configured control solutions designed for the railroad industry. We offer a range of single-axis controllers, multi-axis joysticks, foot pedals and complete operator chair systems. All of our products are custom-configured to specifications and requirements that railroad vehicles and equipment need to include. 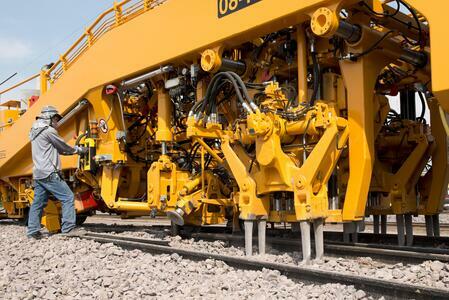 Our products can be found in trams, trolleys, and rail maintenance machines. OEM's product line is built around versatility and durability. Our products feature durable components that ensure a long operating life-cycle. 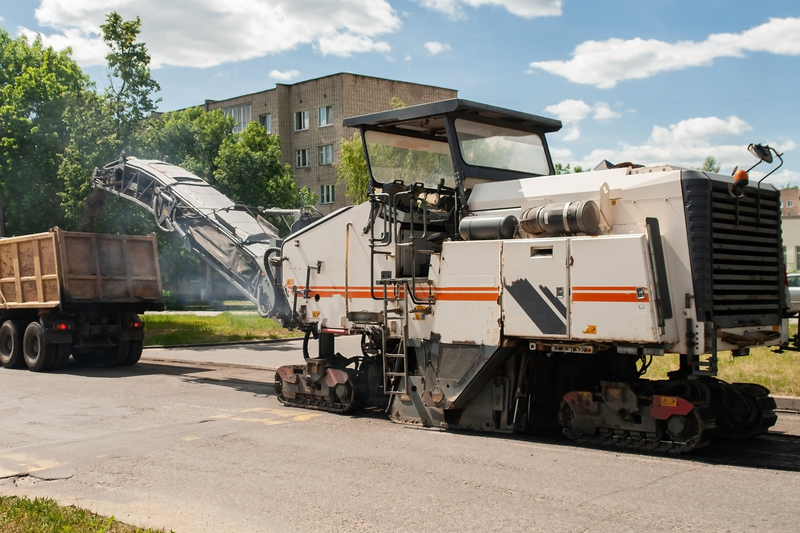 OEM Controls' controller solutions can be found in paving machines such as gravity-feed pavers, specially asphalt pavers, conveyer-type pavers, brooms, and all other equipment used in this field. Our custom designs allow users to specify the functions and feel that they prefer, allowing for high efficiency and ease-of-use. The machines face harsh environmental factors and are constantly working in areas that are less-than-desirable. To ensure that your equipment lasts we build our products to withstand those factors and handle the every day wear and tear that goes into the job. We can create customized operator chair systems so that the job doesn't take a toll on your workers as well. 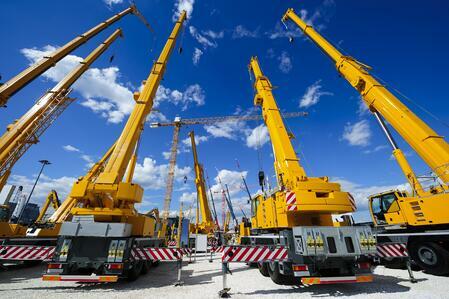 OEM Controls encounters many specifications for equipment used in the crane and lifting industry. OEM offers precise and reliable components that meet the needs of our customers who must comply with the latest government regulations in the harshest operating environments while adhering to project targets. Precision and safety of the controls are essential in crane applications, and we build our products to ensure accurate handling for cranes. We know that working conditions are often rough. OEM wants to guarantee a comfortable operator feel and environmental compatibility. With our highly respected name and product line you can expect the highest level of operational efficiency.